Our loving Wife, Mother, Grandmother, Great Grandmother, and Friend, Pauline Marsing Bird, age 88, of Duchesne, passed away peacefully March 28, 2019, in her home, after years of very tender and loving care from her devoted husband. She was born January 10, 1931, in Duchesne, to Thanelda Powell and Carlos Batrum Marsing, the third of seven children. She married Weston Griffith Despain on January 15, 1949. They had 6 children together, one daughter (stillborn), Kathy, Ronda. Burke, Terry, and Keven Despain. They were later divorced. She married Buddy Jay Bird on March 1, 1969, and became a step-mother to 5 more children, Tonya Rae, Forrest James, Rodney Vernal, and Lisa Ann Bird. They were happily married for 50 wonderful years this year and were blessed with 32 grandchildren, 64 great-grandchildren, and 10 great-great-grandchildren, with two more on the way. 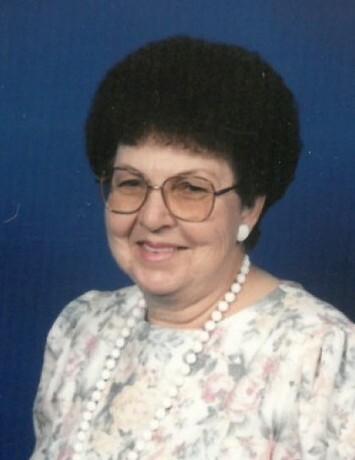 She was a very fun loving lady, with a keen sense of humor, who loved her husband and family dearly. Family was a top priority throughout her life, and she especially delighted in family reunions that were held in the Strawberry River area. Among the many other activities she enjoyed, camping, hunting, and fishing at Sand Wash, were among her most favorite. She loved to cook and bake, and was very skilled at both. It was impossible for anyone, family or friends to leave her home hungry. She always had a mouthwatering treat of some kind in her pantry or freezer for children and grandchildren alike. Her homemade sugar cookies, pies, rolls and Christmas treats were a prized delight for anyone to receive. Holidays were looked forward to because you knew you were going to get a plate full of her wonderful creations. She was a lifetime and faithful member of the Church of Jesus Christ of Latter Day Saints. She served many people through the numerous callings she held throughout her life, including being a temple ordinance worker in the Vernal, Utah Temple. She was a wonderful friend to all, and her example of service, hard work, and love for family was greatly appreciated and her passing has left an empty place in our hearts. She was faithful to her family on earth and her Father in Heaven to the very end of her life. She had a very strong testimony of the restored gospel, and of the divinity of our Savior, Jesus Christ. She is survived by her devoted husband, Buddy Jay Bird, children Ronda Despain, East Carbon; Terry Lee (Marilyn) Despain, Duchesne; Tonya Rae (Larry) McGee, Texas; Forrest James (Jodi) Bird, Duchesne; Rodney Vernal Bird, Duchesne; Lisa Ann (Joe) Ivie, Myton; and daughters-in-law, Chris Despain, Montana; Elaine Despain, and a son-in-law, Hal C Ivie, both of Duchesne; brother- and sisters-in-law, numerous nieces and nephews, and all grand, great, and great-great-grandchildren. She was preceded in death by her parents, all of her siblings, and three of her dear children, Kathy Ivie, Burke W. Despain, and Keven Despain. Funeral services will be held on Monday, April 1, 2019, at 11:00 a.m. at the Duchesne Stake Center, 901 N 500 E. There will be a viewing prior to the services on Monday morning from 9 to 10:45 a.m. at the church. Burial will be at the Duchesne City Cemetery.